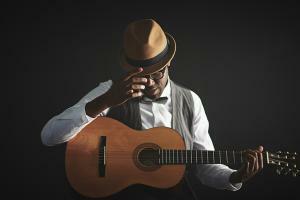 Once you have decided to follow your passion of learning guitar professionally, you are already one step ahead of many. Now, if you wish to make your decision more firm and fruitful, it is necessary to make the decision more wisely, keeping certain points in your mind. There are numerous options from where you can choose the best place and can go forward with your learnings. But before proceeding to a final decision, it is more important to consider the basic characteristic of your upcoming guitar classes. This will help in ensuring that you have arrived at a right place with your decision. To make things favourable, it is very much necessary to be confident enough with your decision as you going to invest your precious time and energy in learning how to play the instrument. It is best that you be firm and sound with your selection. Consider the below mentioned points as your fast checklist that can give you a streamlined idea on how to proceed with your search of a good guitar coaching. As you are about to take the classes, it is important to take them from an experienced faculty. 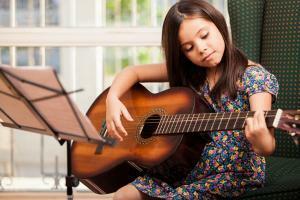 When you take admission in beginner guitar lessons, you are going to just start your learning journey. It is substantial to ensure that you are taking up the right guidance as it equally contributes to allow you to learn the instrument properly. When you have a well- qualified and experienced mentor by your side, you become more confident with your learning and can step ahead with the skill. A good teacher knows how to boost your learning and help you to deal with the learning even at times, when you feel low in going forward. This constant boost and energy you receive from your faculty, helps in adding self- confidence and trust in you. Moreover, a trained and certified teacher knows pretty well how to help you overcome your doubts at times and helps you to understand the concept efficiently. Hence, it is an important point to consider, when you decide to enrol in a music school. Spend some time in knowing about the faculty at the place. Many of us might have loved travelling and have felt this point baseless in their initial search. But speaking about long term, it is important to choose a music place that is located in your near vicinity. Your constant traveling may interfere with your regular learnings. Moreover, it could be impacted with the external situations such as bad weather, unavailability or unreliable transport, less time and many more. To overcome these uncontrolled situations, it is better to deal with them initially. If you go for a place that could be easily accessed from your place and is well connected with public as well as private transport, you can overcome the upcoming troubles that could have come with the concept of travelling. Hence, it is always a smarter idea to choose the best and accessible location to take up your upcoming guitar sessions. 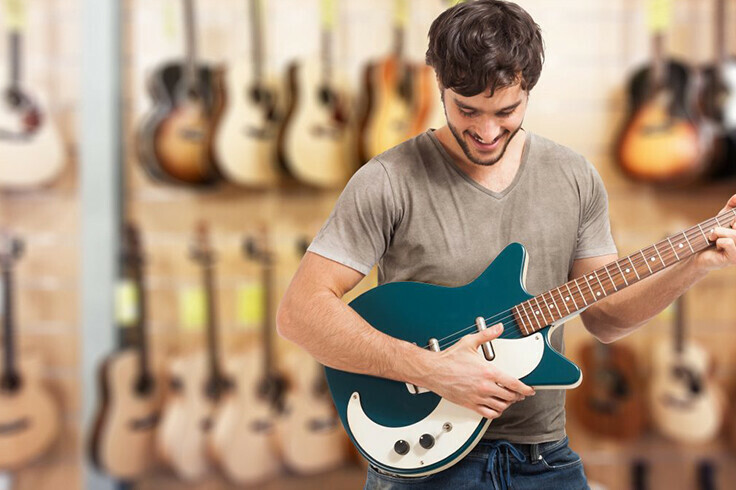 Among the many options of music schools that offers classes for the learnings of guitar for beginners, you need to choose the place that suits your budget too. It is not necessary that you have to put a great burden your finances, if you wish to take quality classes. Great learnings could be done at a justified price too. It has been seen that many of the schools charge you a very high fee and makes it quite difficult to individuals to manage their finances. In such situations, it is necessary to always compare the prices of more of the schools and check for the various facilities being offered by them. Once, you have prepared the list of price quotation, start comparing it with all the available options. It will help you in taking a wise decision to choose a school that charges you a fair and justified price and offers you the desired level of learning. We all wish to be a part of the best class. It becomes more important when we are heading for beginner guitar lessons. To make it possible for you, you need to carry out certain research about the class. This could be done in two ways. One way is you talk with the past students and take the feedback from them. They have detailed idea about the class as they have been part of it earlier. And they can guide you better. Secondly, you can go through the reviews that have been posted online. These reviews throw the light on the pros and cons of the classes in a better and clear way. Last but not the least, one should choose the class that possess all the facilities at their premises. It is a great idea to be the part of the school that has other facilities too. For example, they should have the availability of instruments, the better sitting area, sound proof classes, their own transport etc. It would help in allowing the students to have a great and pleasant experience overall. Hence, when you are doing research on finding a good music school, pay some attention towards what all facilities are being offered to you as a student. All the above -mentioned points if considered, can help you to find your perfect place, from where you can get your classes. Remember the ambience and aura of the place too plays an important role in making you comfortable with your learnings. 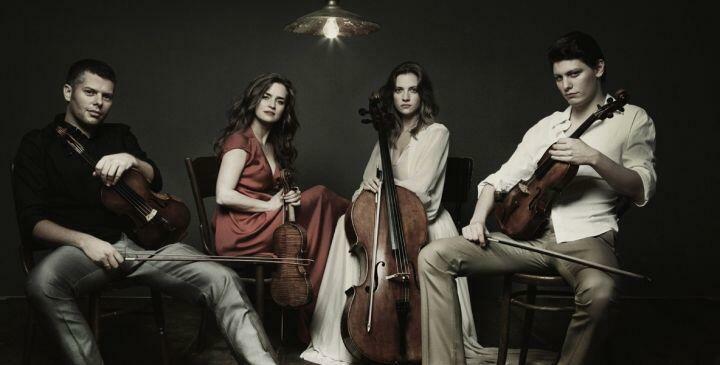 Stradivari Strings is one of the established music school in Singapore, that offers you all the above said characteristics at one place. Open for all the age groups, it is one of the best places to learn and play the instrument efficiently. Guitar learning requires great concentration and dedication. Make sure you learn it from a good place.